Crimereads.com offers an excerpt and adaptation from the editor’s introduction to The Annotated Big Sleep, a book about the late, great writer Raymond Chandler’s first crime novel. Raymond Chandler once wrote that “some literary antiquarian of a rather special type may one day think it worthwhile to run through the files of the pulp detective magazines” to watch as “the popular mystery story shed its refined good manners and went native.” He might have said, as the genre of detective fiction kicked out the Britishisms and became American. 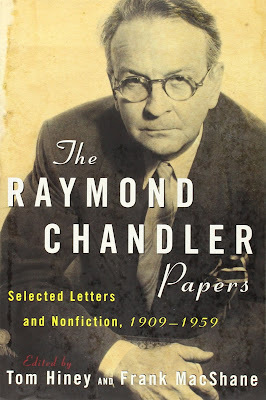 A chief agent of this transformation was Raymond Chandler himself. 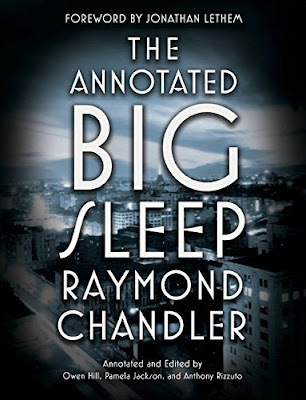 The Big Sleep was Chandler’s first novel, and it introduced the world to Philip Marlowe, the archetypal wisecracking, world-weary private detective that now occupies a permanent place in the American imagination. If Superman or John Wayne is the Zeus of American myth, and Marilyn Monroe is Aphrodite, then Marlowe is Prometheus: the noble outsider, sacrificing and enduring for a code he alone upholds. But The Big Sleep does more than even Chandler intended it to do. Partially by design and partly by happy contingency, the novel dramatizes a cluster of profound subjects and themes, including human mortality; ethical inquiry; the sordid history of Los Angeles in the early twentieth century; the politics of class, gender, and sexuality; the explosion of Americanisms, colloquialisms, slang, and genre jargon; and a knowing playfulness with the mystery formula—all set against a backdrop of a post-Prohibition, Depression-era America teetering on the edge of World War II. For all this, The Big Sleep reads easy. And it’s a ripping good story. Nowadays we don’t tend to be constrained by the same distinctions between “high” and “low art” that haunted Chandler. He is taught in university courses. He’s been canonized by the Library of America. Le Monde voted The Big Sleep one of the “100 Books of the Century” in 1999, and in 2005 TIME Magazine included it in its list of 100 best English-language novels since the magazine began in 1923. Before his death he would be lauded by authors as eminent W. H. Auden, Evelyn Waugh, T. S. Eliot, Graham Greene, and Christopher Isherwood. And The Big Sleep’s success moved from text to screen, with film adaptations eliciting iconic performances from two of Hollywood’s greatest leading men, Humphrey Bogart and Robert Mitchum.